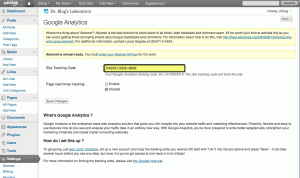 Have you ever wondered how many people have visited your blog lately? Would you like to know which spots were explored the most? 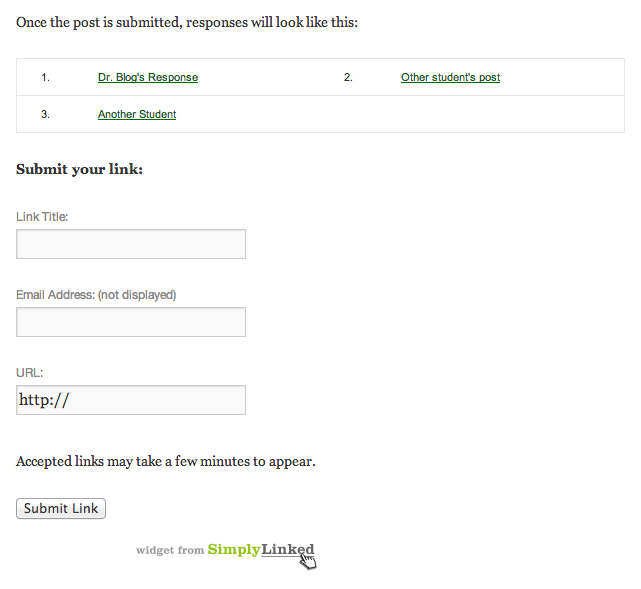 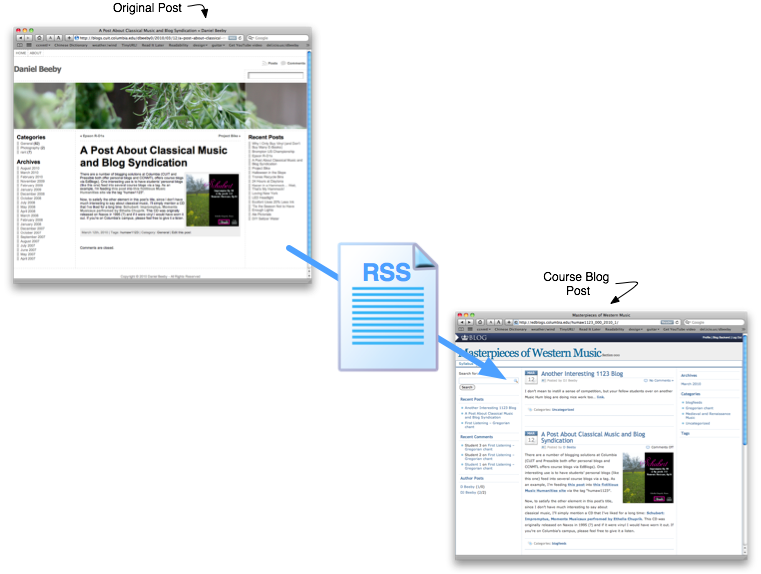 Would you like to improve how your visitors experience your blog? 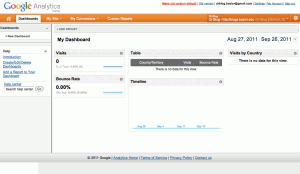 You can do that by using a tool called Google Analytics. 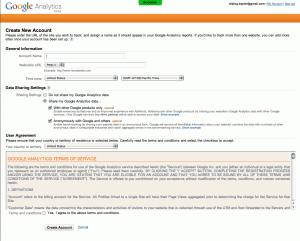 Here you can find step-by-step instructions to set-up the Google Analytics tool in your edublog. 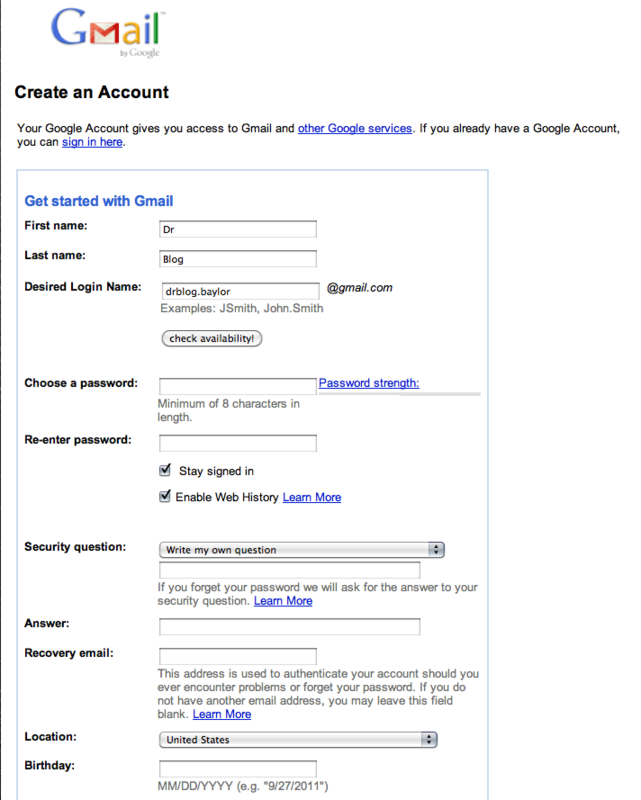 STEP 1: If you already have a Google account (for instance, your gmail log in information is your Google account) you can go directly into the Google Analytics site and create your account (STEP 2). 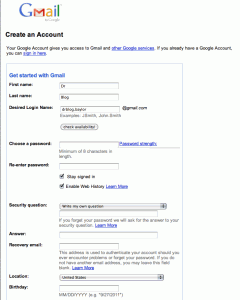 If you don’t have that account, your first step will be to create one. 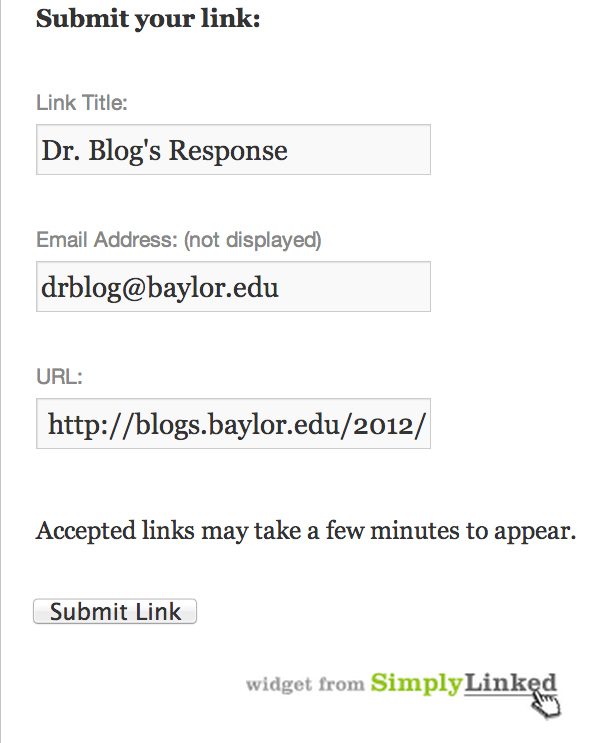 Click here to do so. 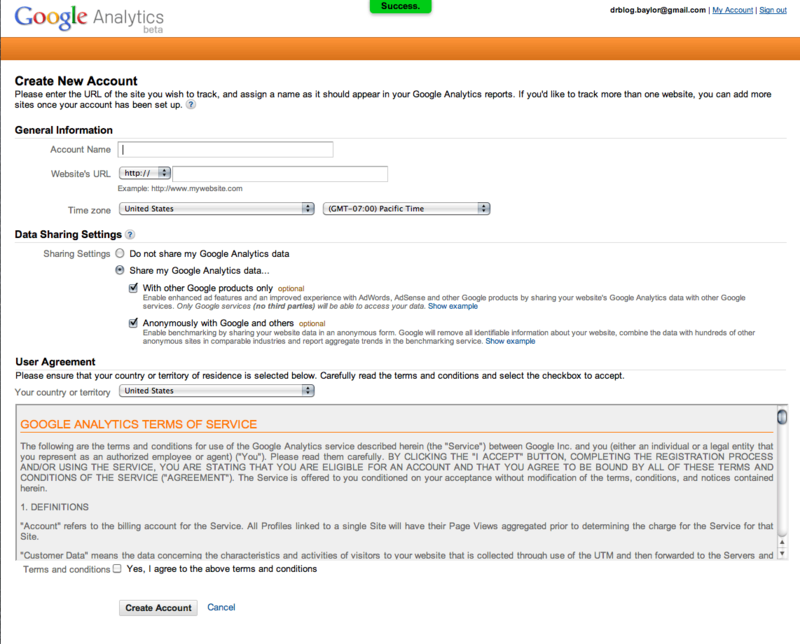 STEP 2: Create a Google Analytics account by going to the Google Analytics site and signing in with your Google username and password. 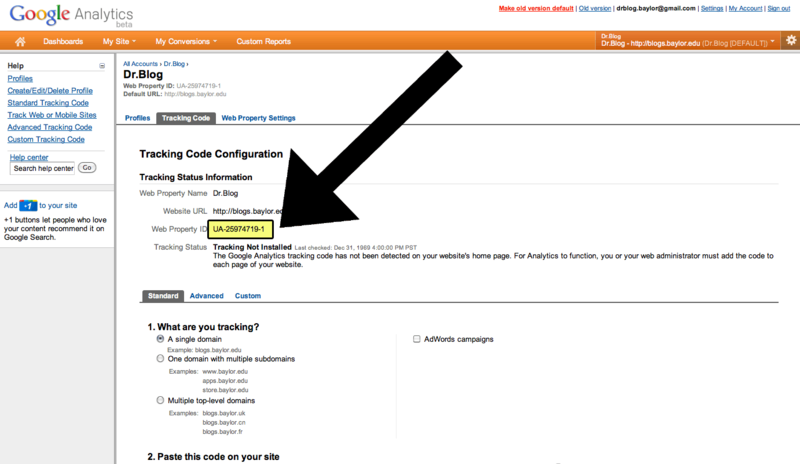 STEP 3: After creating your account, Google Analytics will provide you with a code. 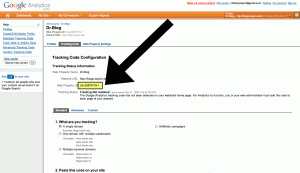 Select that code and copy (Ctrl+C) it (highlighted area). 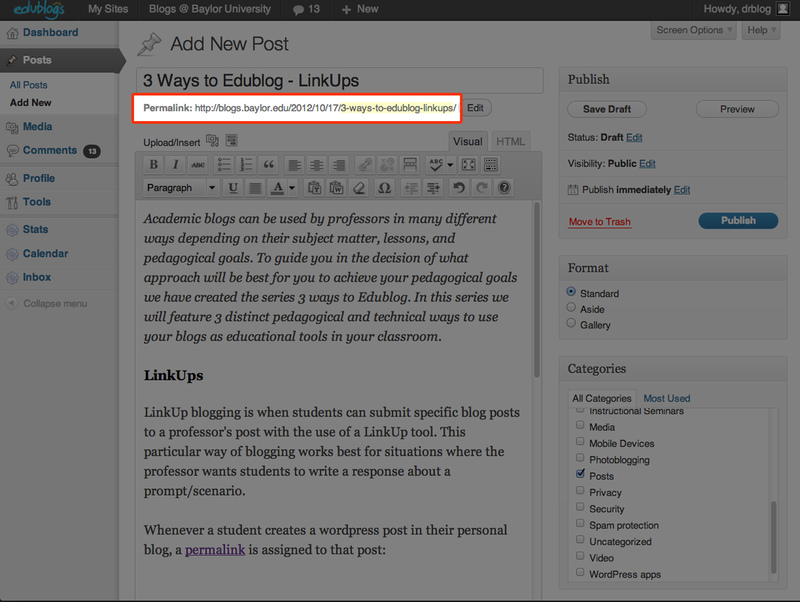 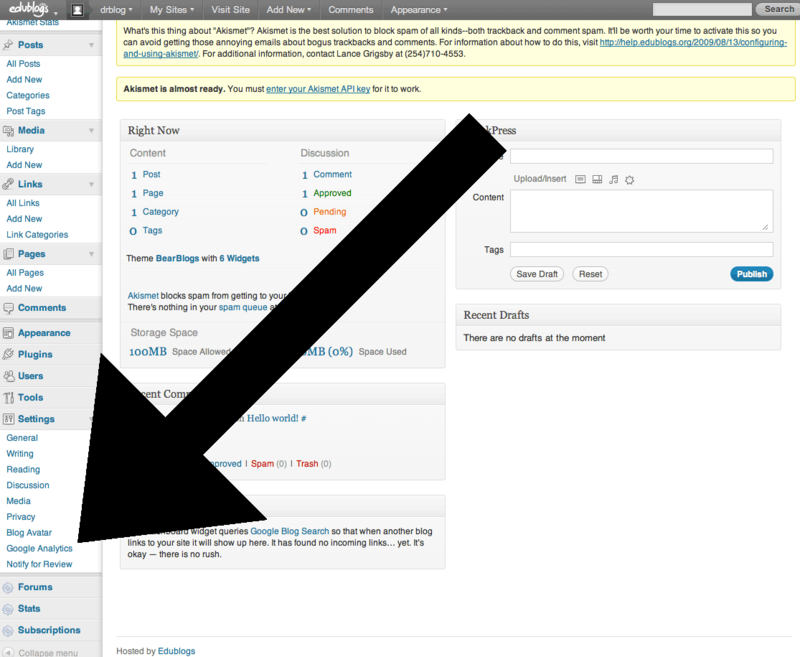 STEP 4: Log into your blog account and under the tab settings in your dashboard click on Google Analytics. 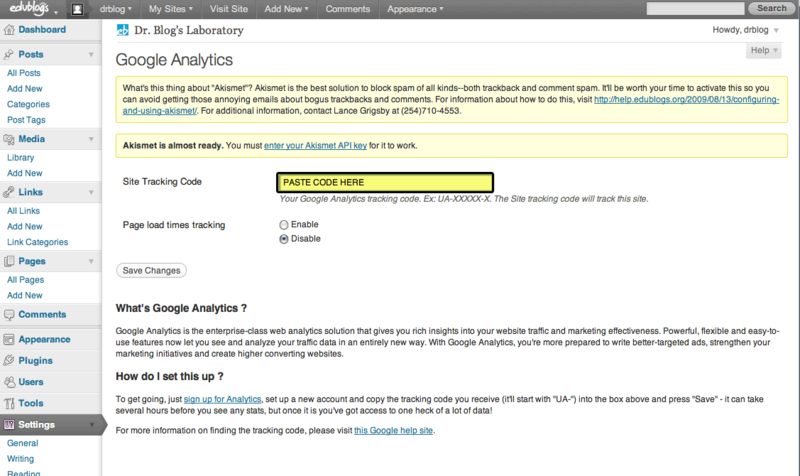 STEP 5: Paste (Ctrl+V) the code in the highlighted area and save your changes. 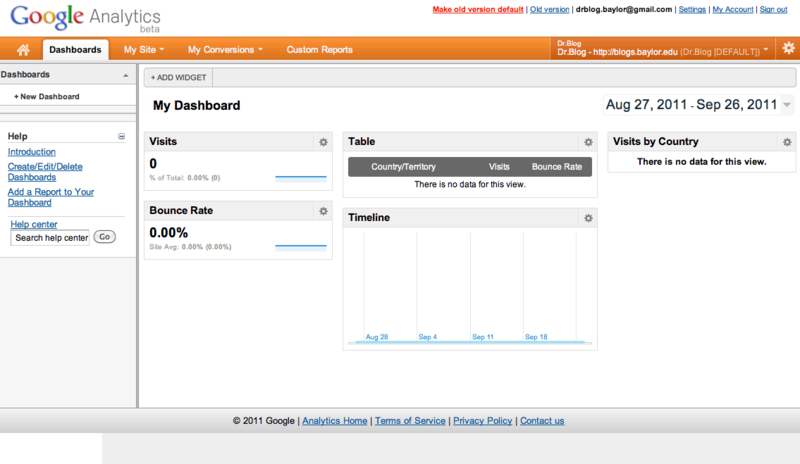 STEP 6: Go back to your Google Analytics account page and click on Dashboards to see the status of the visits in your blog.